This picture was sent to me by Adele Butler, showing the sight she saw one morning over the weekend. 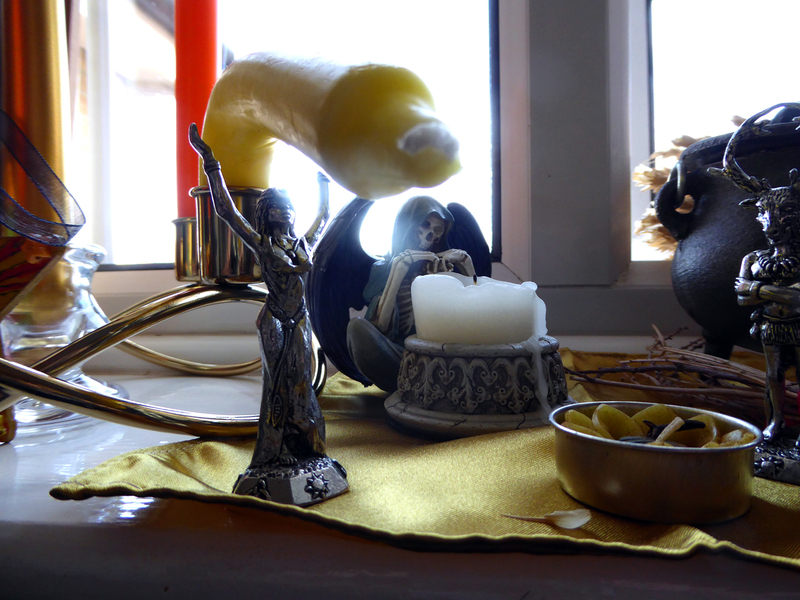 Her Lammas windowsill display, which she put up on August 2, had got a bit heated up. Adele said "The heat has not only burnt up all the corn in the fields but attacked my candles – my poor little lead goddess must have been a little shocked as to what came into her reach from above!" In this hot weather, do be careful your own candles don't get the droop.